I have a C++ class called Attachment, and I use that as a base class for several Blueprint classes. Now from C++ I would want to create an object from one of those blueprint classes.... 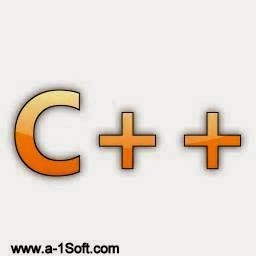 In C++ programming language, we can also pass an object as an argument within the member function of class. This is useful, when we want to initialize all data members of an object with another object, we can pass objects and assign the values of supplied object to the current object. Listing the surface area using pointer to class object which creating a link list in C++ programming... C++ is an Object Oriented Programming language. The main concepts of the Object Oriented Programming (OOP) are classes and objects. A class is a blueprint for creating objects. I'm trying to create an array of objects in c++. I'm creating a employee object, from my constructor in my company class here: employee obj(int tempIdNum, double tempBase, double tempSales, double how to change portal 2 controller controls Back in lesson 1.3 -- A first look at variables, initialization, and assignment, we defined an object in C++ as, “a piece of memory that can be used to store values”. 16/06/2010 · I have a registered COM DLL. I need to access a function in this DLL from a separate Visual C++ application. How do I create an object of this DLL from the Visual C++ code?? how to create twitch account on ps4 Another way to createan object is to declare a variable that is a pointer to the object classand call the C++ new operator, which will allocatespace for the object and call the constructor, if any, for the object.In this case, the pointer variable must be explicitly deallocated withthe delete operator. 1/05/2015 · New syntax for setValue. Using an additional object. Forgive me if this seems a bit naive, but I'm rather new to C++ and after years in C and in Java, I guess my head's a little confused. I'm trying to make an array of an unknown size full of nodes that I've created. But as explain in Item 20 of Effective C++, polymorphic objects get sliced off when we pass them by value: even if the Base const& reference base was referring to a Derived object, making a copy of base creates a Base object, and not a Derived object.